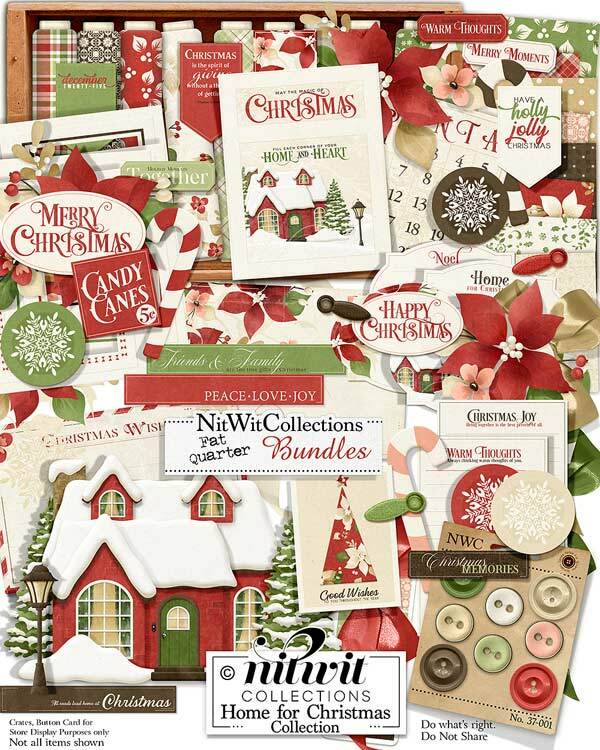 FQB "Home For Christmas" Collection conjures up warm memories of being tucked in with snow covering the roof and the decorations in full glow. 1 Banner element - "Have a Holly Jolly Christmas"
1 Banner element - "December twenty-five"
1 Banner element - "Christmas is the Spirit of Giving...."
1 House scene element....just see it and you'll know!! 1 Sentiment oval - "Merry Christmas"
1 Sentiment oval - "Happy Christmas"
1 Tag with a Christmas tree - "Good Wishes to You...."